Villa Fount Dalyan is a semi-detached villa and located in quiet and natural part of Dalyan where animals, trees, flowers bring relaxation. It is completely purified from crowd, sound, stress. Town center is only 15 minutes walk distance where you could find any kind of restaurants and shops. 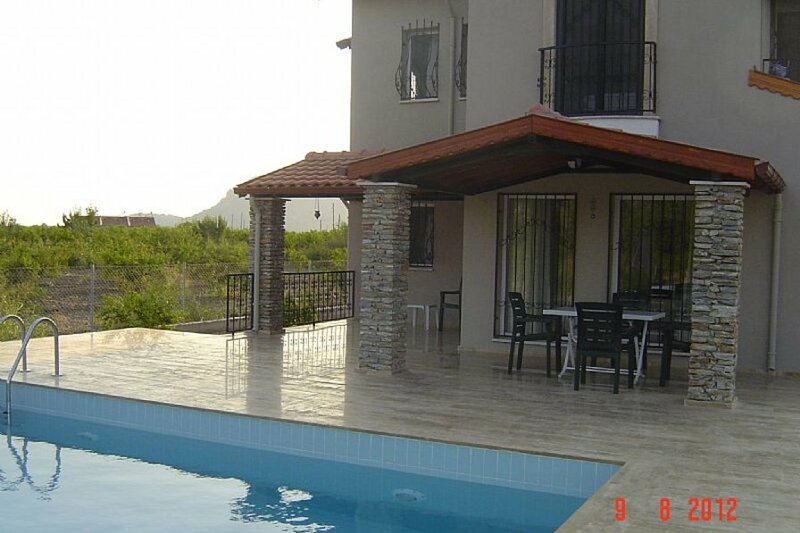 Villa Fount Dalyan is in a very secluded plot and pool area can not be overlooked from any angle. A big pomegrante garden covers the main living area. Dalyan is a very centrally located town which gives you the possibilty to make daily tours to the most beautiful Aegean and Meditteranean towns such as Fethiye, Marmaris, Bodrum, Datca, Gocek, Koycegiz, Kas, Kalkan. Our representative will be pleased to solve any kind of problems you may encounter during your stay.